The PBXact 1200 is a premise-based appliance built for mid-sized enterprises and branch office locations looking to seamlessly integrate IP phones, VoIP trunks, and PSTN connectivity while improving employee collaboration and productivity with a large suite of advanced features. 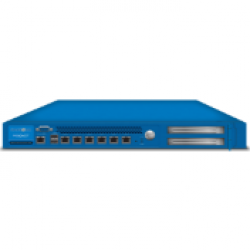 Sangoma PBXact 1200 Appliance for Warm Spare setup. In this configuration this system will support up to 1200 user extensions. This system comes with the PBXact software installed and all software licenses will pull from the Master PBXact 1200 system including user licenses. This system can only be used in a warm spare setup with a full PBXact 1200 system.